Possessed is straight out of your nightmare. Huge gaping, teeth filled mouth and bulging eyes makes this one extra creepy. 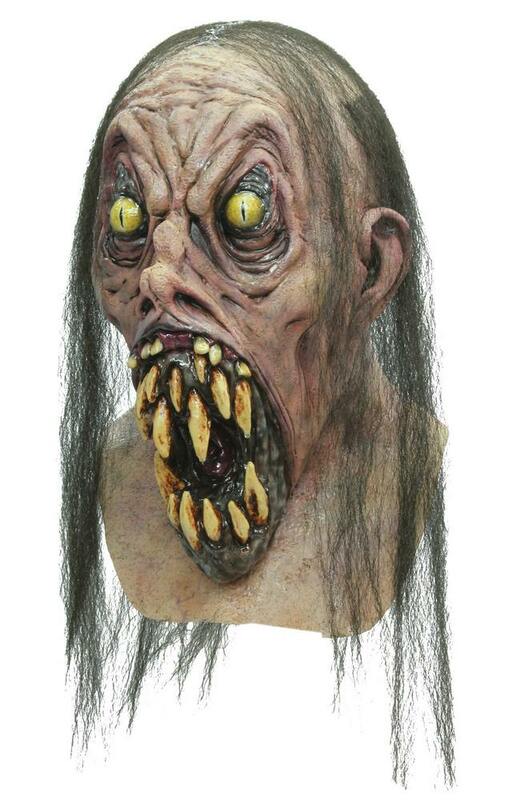 Full over the head latex mask. Individually hand painted and haired for the most realistic look possible! One size fits most adults.